But how can you tell if each group or person is being effective? By completing an electrical safety audit and making sure you include lots of time to interview a cross section of the electrical workforce. Of course, the number of interviews depends on the size of your team as well as their availability, but in most industrial facilities the number is somewhere between 4 and 8 to get a good idea of what's going on there. Assuming that you are in the first year or two of implementing your electrical safety program then the questions you ask are going to be centered around three major aspects. Program implementation effectiveness, employee participation and buy-in, and transfer of technical information. 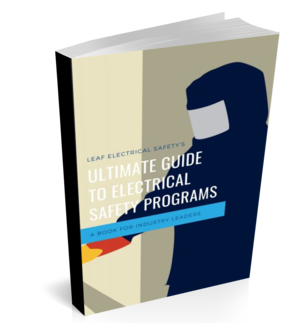 This is where you look for consistency with the basics, and I'm not talking about the basics of electrical safety, I'm talking about the basics of an electrical safety program. Questions as simple as "what do you think about the electrical safety program? ", or "what makes the electrical safety program a success or not a success?" will get the interviewee talking about what they think about the program. After asking a few of these types of questions you should be starting to get a good understanding as to how well the program has been communicated to the workforce. Now it's time to figure out if the employees are bought in. They might have heard about the electrical safety program but do they believe in it? Ask some questions about some of the electrical safety concepts that are easy to implement but haven't always been common practice for most electricians. Something like "what determines if you should wear rubber insulated gloves?" or "how do you know what arc flash clothing to wear?". If buy-in is good then the correct answers should roll right off their tongues. In order to figure out how you are really doing, you will want to increase the difficulty of the questions. The purpose of this isn't to make anyone look smarter than anyone else but it's a great way to gauge if you have an all-star electrical safety program or if you are more middle of the road. A few examples here would be "what are the normal steps you would take to establish an electrically safe work condition? ", or "what is the process to perform energized work on your site?". The goal was to paint the best picture of how your company is doing in terms of electrical safety and there is no better way than by sitting down with a handful of the team members and ask them some open-ended questions. Make sure you hit on all three aspects we discussed above and you'll have a great idea about the strength of your program.